This was a formerly very sensitive site removed from maps right up to 2005. 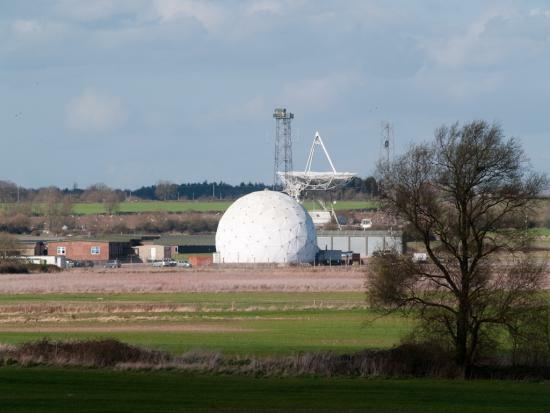 Until this date it was run by QinetiQ, but this site now only contains a radio satellite as part of Merlin. 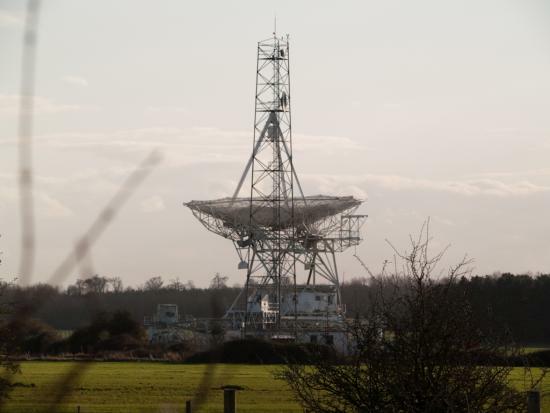 "MERLIN, operated by Jodrell Bank Observatory, is the Multi-Element Radio Linked Interferometer Network, an array of radio telescopes distributed around Great Britain, with separations of up to 217km. It operates at frequencies ranging from 151 MHz to 24 GHz. At 5GHz, the resolution of MERLIN is better than 50 milliarcseconds, somewhat greater than that of the Hubble Space Telescope. MERLIN is operated by the University of Manchester as a National Facility of the Science and Technology Facilitie s Council (STFC), and is available for use on a peer-review basis, with observing proposals dealt with by the Panel for Allocation of Telescope Time (PATT). The National Facility also hosts Jodrell Bank Observatory's VLBI participation, linking telescopes across Europe." Site now leased by Mercia Police. All QinetiQ staff have been moved back to Malvern, the site to which this was linked prior to 2005. 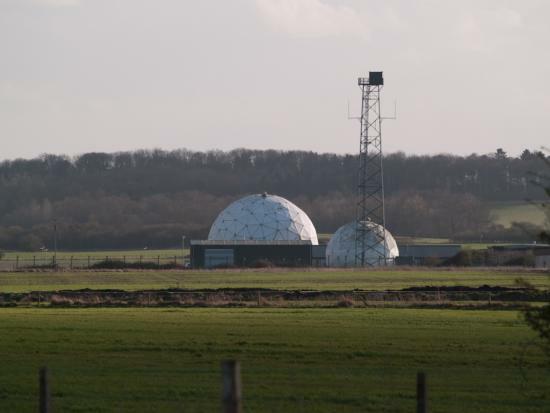 All Radomes and other satellite structures belonging to QinetiQ will be moved if appropriate by West Mercia Police. We visited Croome Park which is adjacent to the site. Run by The National Trust, they have a lovely cafe, bookshop and interpretive materials concerning the local airfield (visible on geomap) and the role it played during the Second World War.